Girl Scout Nutcracker Patch - Special patch for our Girl Scout Fans that attended our Nutcracker performance, thank you girls! City of Placentia Tree Lighting Ceremony - Our dancers were invited to perform at Placentia's Tree Lighting Ceremony. Thank you Placentia, we had a blast! Heritage Day Parade - Our dancers had a great time in the rain at the parade! National Night Out - ADBA volunteered at this celebration that takes place across America! Helping the communities by encouraging citizens to engage in stronger relationships with each other and local law enforcement. Had a ton of fun! Thank You City of La Habra for this opportunity! ​El Dorado High School Dance Team Spring Show - ADBA was invited to dance at the El Dorado Spring show. Thank you Eldo! We love being Hawks! Thank you City of Placentia! I Love Placentia - ADBA was honored to participate in the Placentia Love festivities. Thank you Placentia for thinking of us! ​El Dorado High School Showcase - ADBA was invited to participate in Eldo's Showcase. Great job girls! Thank you Eldo for the invite! ​Yorba Linda High School Cheer Sponsor 2016-2017 - ADBA proudly sponsored YLHS Cheer! Scholarship contributor for El Dorado High School Dance - ADBA believes in dance and education! Girl Scouts Patch - ADBA designed patch number 5 for the local Girl Scout Troops to earn for attending our "Radio City Christmas" show. I Love Placentia - ADBA was invited to perform for the Love Placentia event! Valadez Middle School Performance - ADBA was honored to be invited to participate in Valadez's annual school performance. ​Girl Scouts Patch - ADBA designed patch number 4 for the local Girl Scout Troops to earn for attending our live musical production of "Clara's Dream"
Christmas Caroling - ADBA spread goodwill at De Palma Terrace by singing for the residents there. Final Leg Ceremony - ADBA was honored to be asked to perform at the Special Olympics Final Leg Ceremony at Placentia City Hall. Girl Scouts Patch - ADBA designed patch number 3 for the local Girl Scout Troops to earn for attending our live musical production of "Polar Express"
​Heritage Day Parade Award for Best Non Commercial Float - Our Young Dancers float won! Thank you City of Placentia! Angel Bin - ADBA is proud to supply a space for Angel Bin on our site. Please donate any clothes or shoes to help those in need. 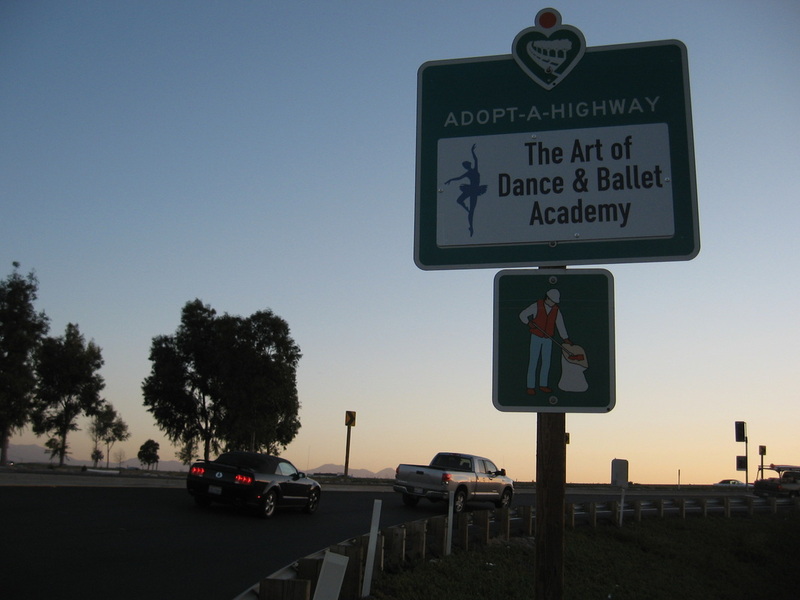 Adopt-A-Highway - The Art of Dance and Ballet Academy has been sponsoring a section of the 57 freeway since January 2012. You can see our sign on the Orangethrope Ave. on-ramp and off-ramp going southbound. 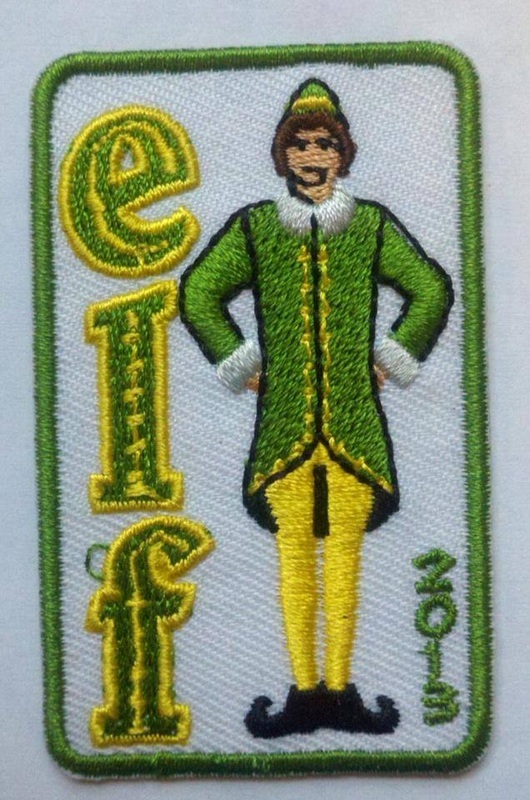 Girl Scouts Patch - ADBA designed their second patch for the local Girl Scout Troops to earn for attending our live musical production of "Elf." 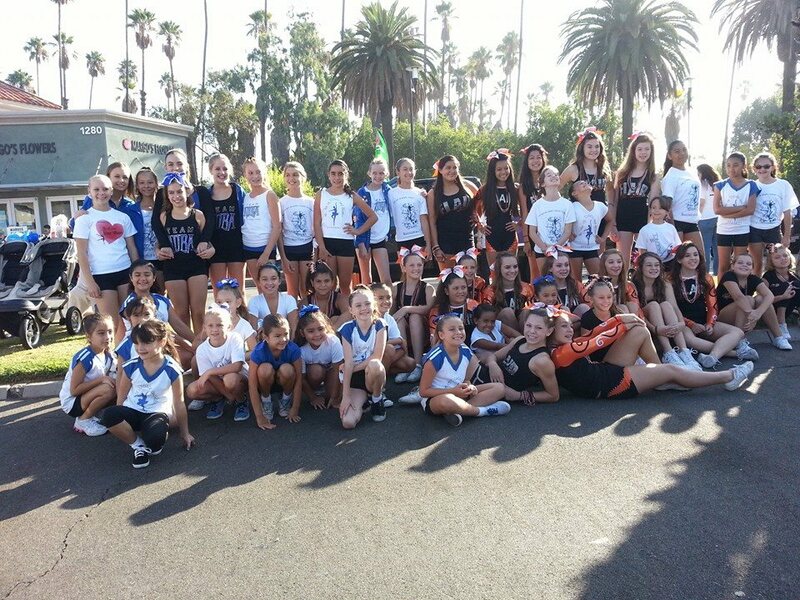 Heritage Day Parade - Our staff and dancers of all ages participated in the annual parade for the city of Placentia, CA. The Happy Chappy Tappy Show - Team ADBA's teen tap group had the opportunity to perform in Chapman University's Tap Ensemble Concert. ADBA Performing Arts Foundation - The Art of Dance & Ballet Academy now has their foundation set up for non-profit. 501(c)3 Tax ID#45-4625720. 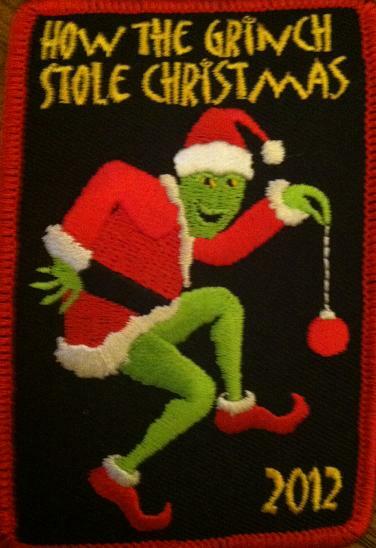 Girl Scouts Patch - ADBA designed a patch for the local Girl Scout Troops to earn for attending our live musical production of "How the Grinch Stole Christmas." 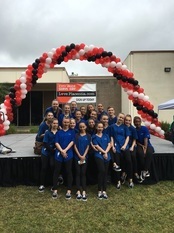 St. Juliana Falconieri School Performance - ADBA put together a small concert that included 10 original routines and performed a free show for the faculty, students, friends, and family at the school's annual carnival. OC Fair Performance - ADBA presented 10 of their greatest works on the Plaza Arts Stage for local Orange County family, friends, and spectators. Community Service Performance - Students performed excerpts from our production of "A Christmas Carol" at The Church of Latter Day Saints. Community Service Performance - ADBA dancer's performed a Halloween themed dance routine for the residents at Evergreen Post Acute Care nursing home in Fullerton, CA. Thank you to our former student, Sarah Smith, for her help in the organization of this fun event. Project Marian Productions - A Non-Profit dance outreach program sponsored by the Archdiocese of Orange County. ADBA proudly hosted rehearsal space to support this program. "The Paper Prince" - ADBA student's were involved in the filming of a dance scene from Marie Nguyen's new film "The Paper Prince." "Cookie Cupboard" - The Art of Dance & Ballet Academy donated warehouse space for local Girl Scout Troops to store their many boxes of girl scout cookies. ADBA at Gerdes Park helping clean up! Girl Scout patch for "You're A Good Man Charlie Brown"
57 Southbound - Orangethrope Ave.